No matter how it happens, few injuries in life will affect you the way a spinal cord injury will. Whether it occurred by a fall, in a car accident or by any other fashion the truth is that these kinds of injuries can be disastrous, from the damage it can do to your body to the costs of your medical bills when trying to recover. 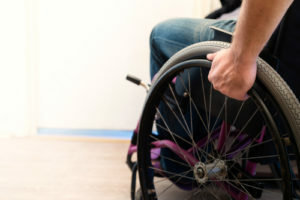 Depending on the circumstances it may be possible to be compensated in a lawsuit, but understanding exactly what a spinal injury is as well as some common causes will only help benefit you in what is certainly a trying situation. Spinal cord injuries can occur when there is damage to any part of your spinal cord or the nerves at the end of the spinal canal. If these areas are damaged it can cause permanent changes in movement, sensation, strength in addition to other body parts and functions below the area in which the injury occurred including paralysis in more severe cases. That is a large range of body functions that can be affected as this can influence your breathing and also sexual functions, and it is an unfortunate possibility that some of these changes can and will change you for the rest of your life. Normally these injuries occur after one receives a major blow to their spine, which is why it is no surprise that the majority of these injuries occur after a car accident. Over 42% of spinal injuries are due to these accidents, and with the weight and speed in which cars can travel it can easily be understood why this is the case. Slip and falls are the second biggest contributor to spinal injuries at 26.7%, with being shot by a gun or by being on the end of other violent acts comes in at a little over 15%. Recreational sports may seem like great exercise but one should be aware that 7.6% of all spinal cord injuries occur in this manner. There are also those spinal injuries that could have been avoided, such as those that happen during a surgical procedure either by accident or due to negligent behavior. In these types of cases this behavior might be considered medical malpractice, and at that point you will need a knowledgeable attorney to help you prove that fact in court. Another case in which a spinal injury could be avoided are those that happened due to a defective product. From faulty airbags or poorly designed seat belts these are instances in which a lawsuit can be brought against a third party manufacturer or the company that sold the product. In both cases the wrongdoing must be proven in court, but if it can be done there is a chance you could get the compensation you deserve. If you or a loved one have suffered a serious injury such as this you need a qualified personal injury lawyer to help fight for you in court. Contact Rudnick, Addonizio, Pappa & Casazza PC by calling 732-264-4400 or just fill out our convenient online contact form to start discussing your case today.